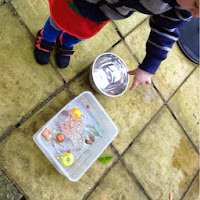 When in the bath during the week, T started to talk about objects sinking or swimming. 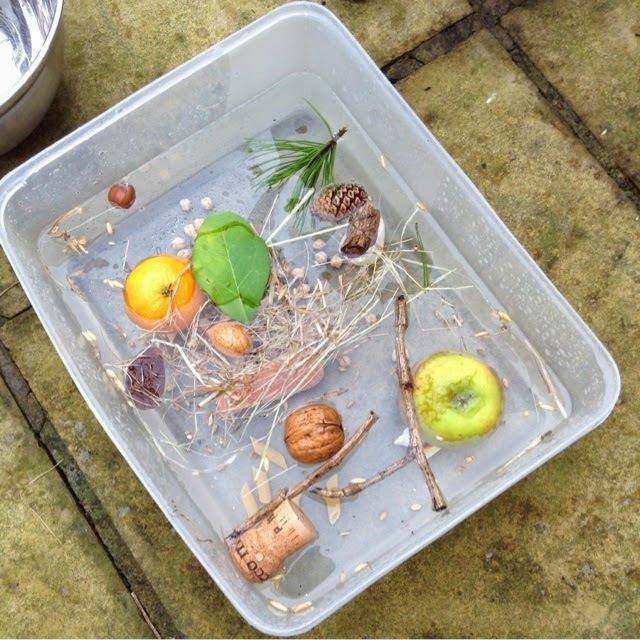 So we went all through his bath toys to establish which ones floated and which sunk. 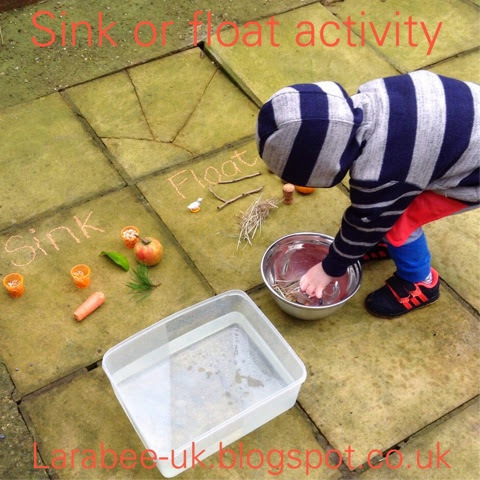 I hadn't realised that he knew exactly what this meant so was quite chuffed that nursery had thought him this. I realised it was time for us to do some sink or float activities of our own! 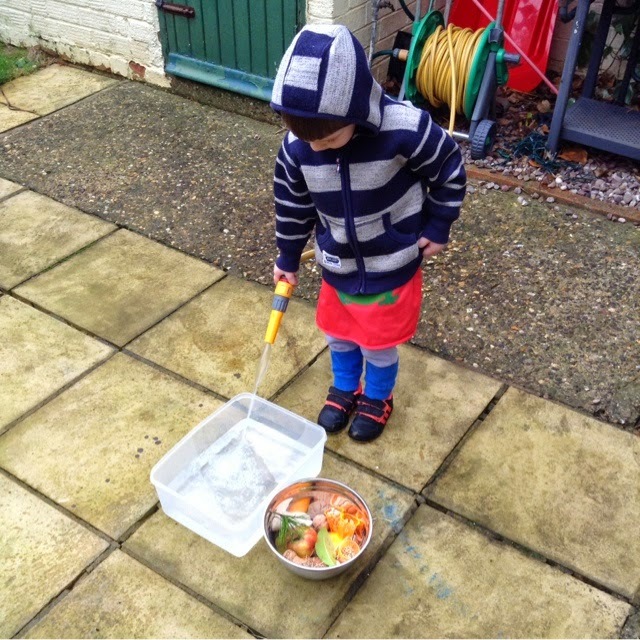 This is a perfect outdoor activity for a not too cold day, we were outside in just our jumpers, well actually T was still in his pj's and insisted on wearing his apron! We filled a tub of water and had a wander round the garden to collect objects for our experiment. On the paving slabs I marked out 'sink' & 'float' and T went through our objects making predictions!! He was only wrong on a couple and did really well. 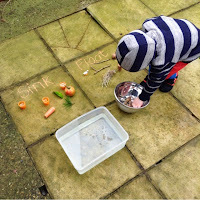 We really loved this activity, T could show me what he'd learned at nursery and I loved watching him take the lead as he knew what he was doing. 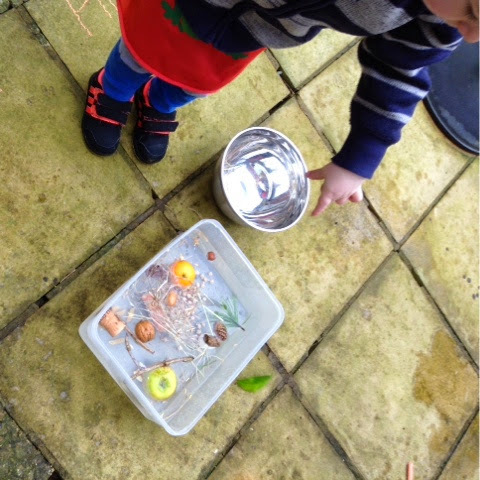 We'll extend this as he grows by talking about weight & mass, we'll plot and record our finding, probably in the form of a graph. 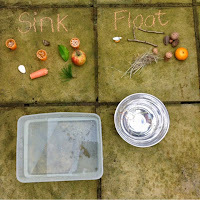 And we'll discuss our predictions to explain why we think they'll sink or float.